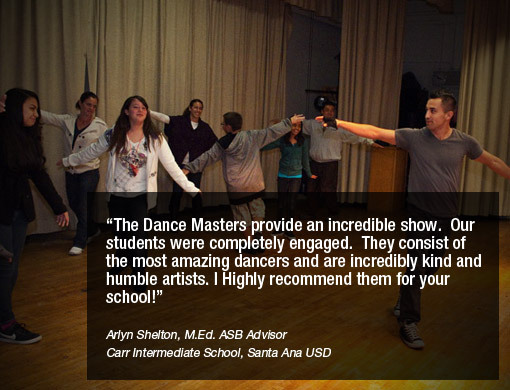 DanceMaster Shows | Helping students realize their dreams are within reach! What’s Your Passion? Helping Students realize their dreams are within reach! 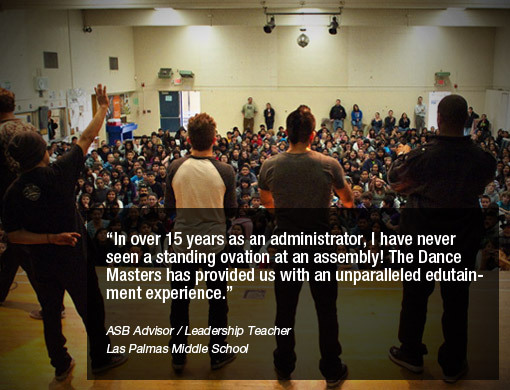 The Dance Masters is a motivational assembly whose focus and emphasis is helping to inspire students to reach their goals through hard work and dedication. This message is delivered through “edutainment”, a combination of education and entertainment. Presented by well respected performers who relay their own struggles with adversity in achieving their goals. 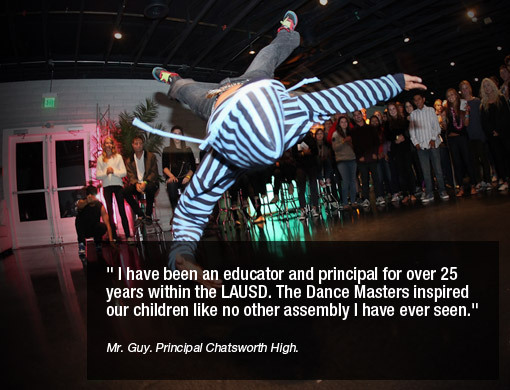 The "DANCE MASTERS" Celebrity Break Dance / Actrobatic performance specializes in bringing fantastic entertainment to your school assemblies. Click to view recent pics! 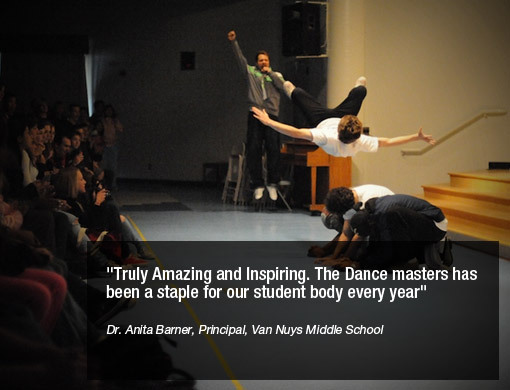 With Nine years of experience performing school shows throughout California Arizona & Nevada, we are guaranteed to inspire and motivate your audience! 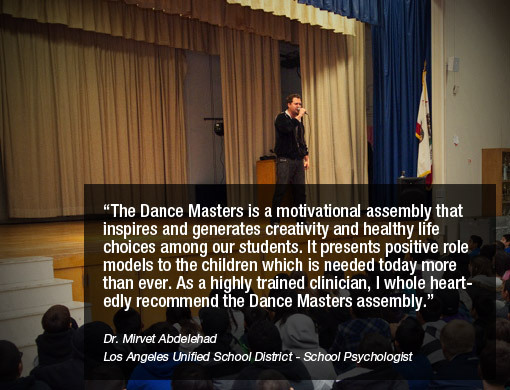 The Dance Masters promotes healthy lifestyle choices and good decision making by engaging and inspiring students through extreme acrobatics and break dancing.